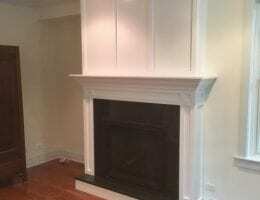 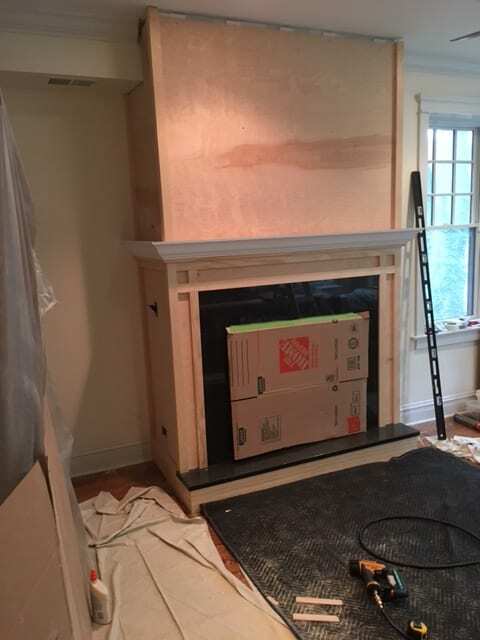 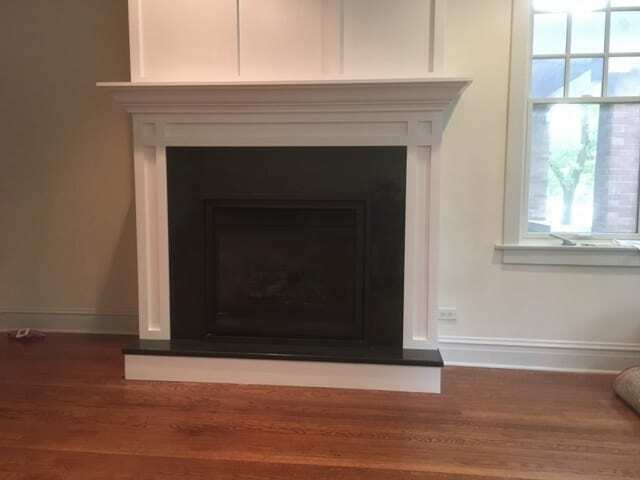 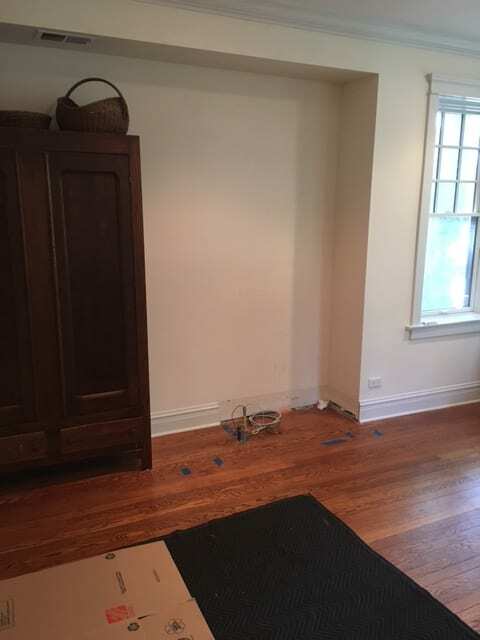 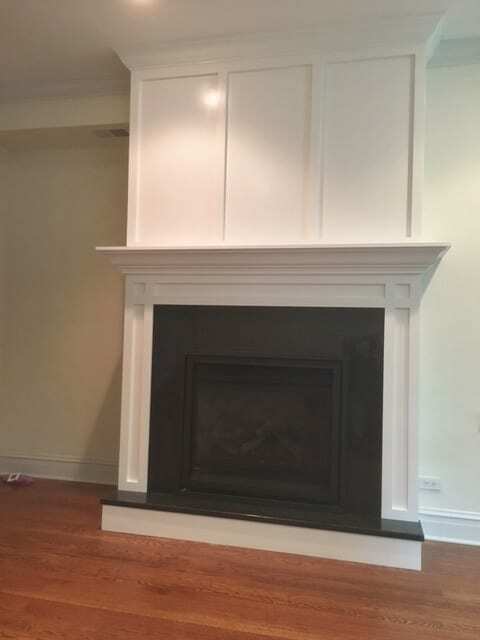 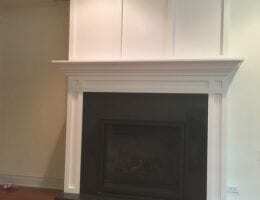 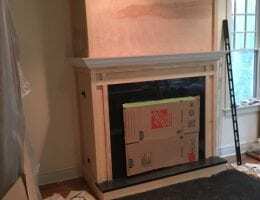 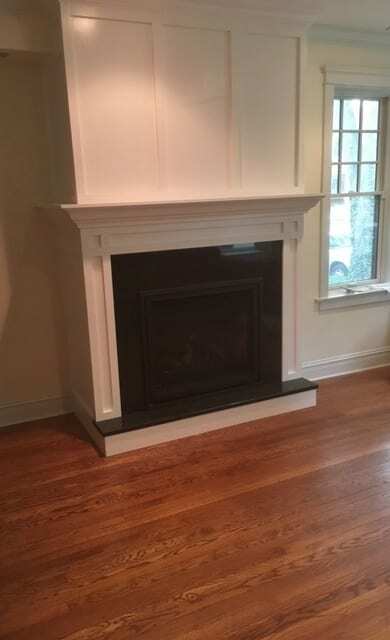 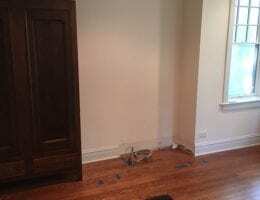 Our customer wanted a fireplace built but had no fireplace or chimney! 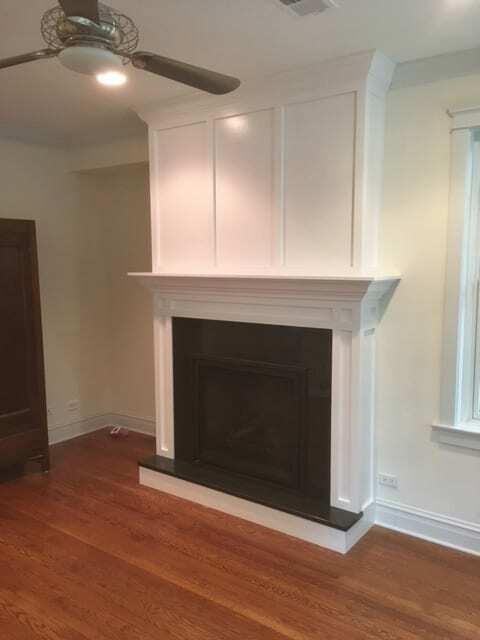 No problem, we ran proper gas lines and venting to create this custom built project. 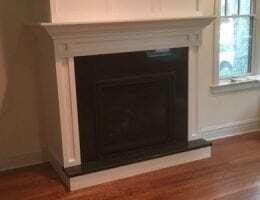 Tailor made wood trim and detail along with granite front and step complete this room warming centerpiece.